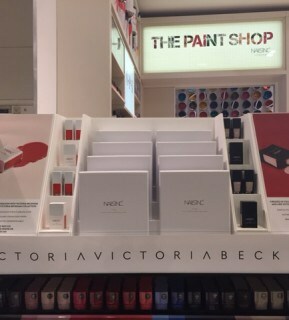 We have just helped Nails Inc with the exclusive launch of their Victoria, Victoria Beckham limited edition Nails Varnish launch. 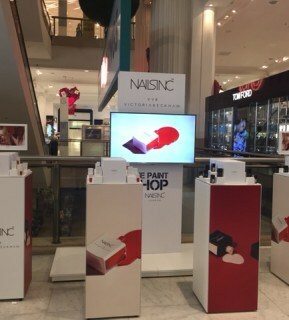 This great collaboration sees 2 unique nail polishes presented within a sleek new bottle design. 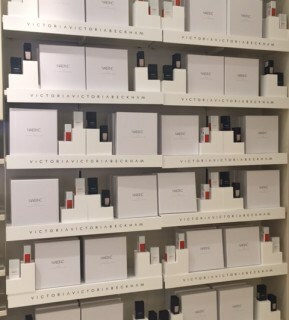 The colours, Judo Red and Bamboo White have been inspired by the Spring Summer 2015 Victoria Beckham collection. Design4Retail helped launch a suite in store Design collateral first launching in Selfirdges UK before the worldwide launch. All materials and finishes reflect the premium nature of the brand and the white background helps the bottle and colours stand out in store. This follows on from the successful Alexa collaboration which landed in retail houses around the UK last year!